Giulio Xavier (a.k.a. The Jazz Thug) has been killing the game since day one. 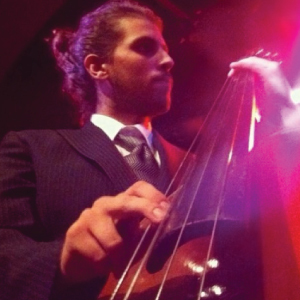 Raised by musician parents, Giulio’s entire life has been dedicated to the art of “space sound”. Through interstellar travel and openness, Giulio has gained the ability to flow within the river of melody and rhythm, and dance in the abstract wind that IS music. He has played with musicians such as JHoard, Lawrence Hobgood, Thomas Pridgen, Stacy Dillard, Theo Croker, and Irwin Hall. Vibe Theory brings you elements of jazz and improvisation, mixed with relevant influences such as J Dilla.